Is your music on "The Big 4"? Many independent artists and musicians would love to have the type of exposure major label artists get. But, alas, they do not have the funding these labels have to do so. So, the least they could do is have their product available in the same stores/markets as the majors right? This is where services like ADEDistribution come into play. 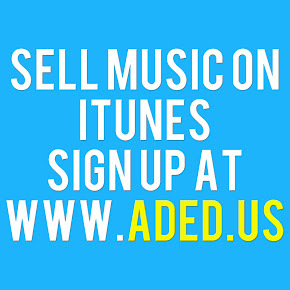 ADEDistribution is a digital distribution company that specializes in helping independent artists sell their music on "The Big 4" digital retail stores (iTunes, Amazon, Spotify, and The Android Market). Yes, there are several larger distribution services like Tunecore, CDBaby, and Songcast. But, ADEDistribution focuses on dealing with their clients directly and educating them on how the whole digital distribution process works whereas the previously mentioned services do not or will not. According to the most recent IFPI report, the digital music industry made well over $5 billion in revenue, mainly from "The Big 4". If anything, hopefully this article will educate artists on the importance of having your music available in these stores. Visibility is key in the music industry and customers either see you or they don't.